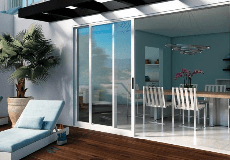 A Wholesale Window Company is a distributor and installer of windows and 'doors. Our products include: vinyl windows, wood windows, fiberglass windows, patio doors, French doors, skylights, and sun tunnels. We offer the widest selection of products with 100% support services including consultation, ventilation planning, building code requirements, delivery logistics, and installation management. In addition, we’ve embarked on an ambitious Improvement Program in an effort to build upon what are already the industry’s highest service levels. A Wholesale Window Company is rated 5.0 out of 5 by 1. Rated 5 out of 5 by tandra48 from Great Contractor Experience ---Replacement Windows I usually do all my own home construction/remodeling as I am a stickler for craftsmanship. Window replacement is not allowed by homeowners per the CCR’s of our HOA. Glen, proprietor of A Wholesale Window Company, provided excellent customer service and delivered an outstanding window installation. On communication----very responsive via cell phone or email, started and finished right on time, scheduled around my availability, had all the documents for HOA re. insurance. On expertise---provided accurate quote for labor and materials (similar to Milgard quotes for material only), was 25% lower than any other contractor On craftsmanship---all 7 windows fit perfectly, the job site was immaculate after installation, there was no need for interior or exterior paint. I immediately reattached the window blinds without incident.